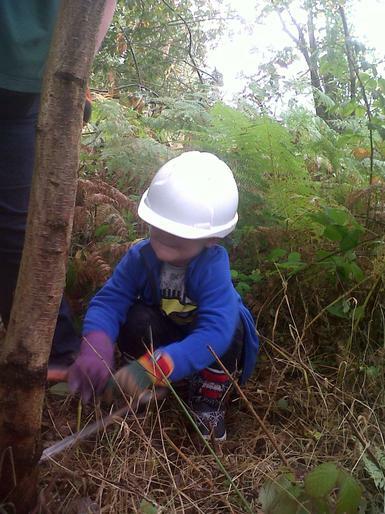 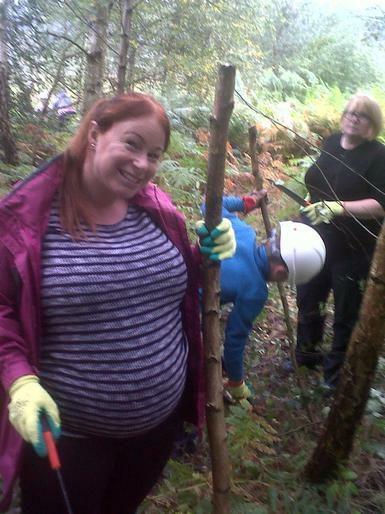 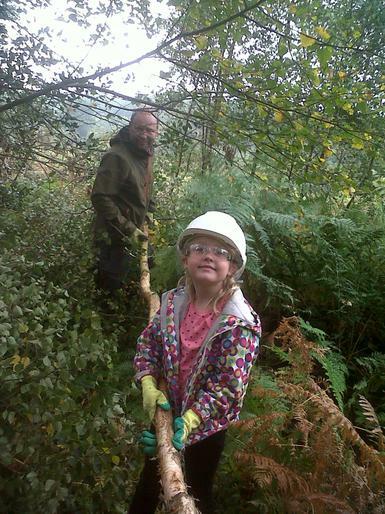 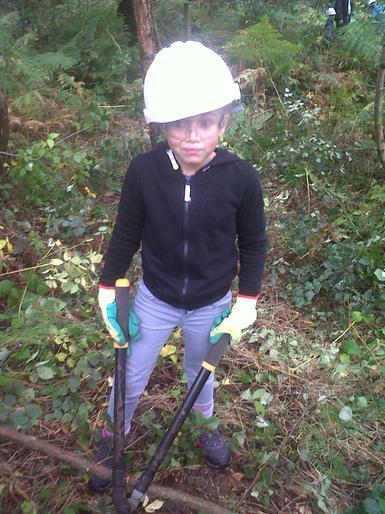 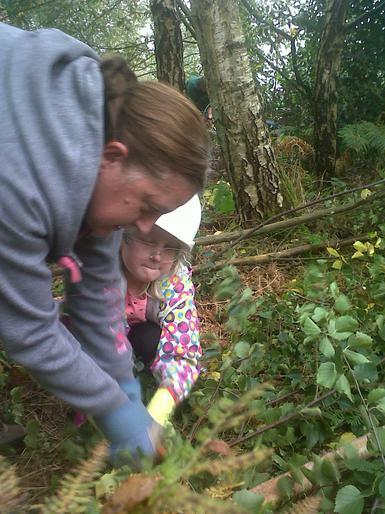 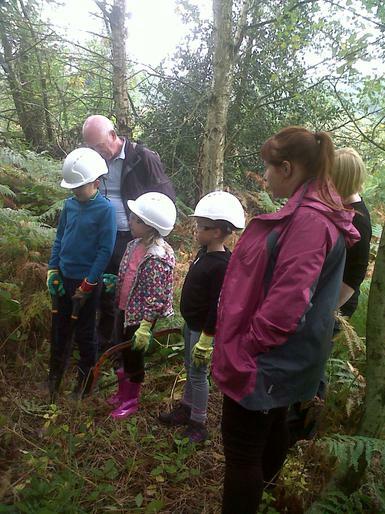 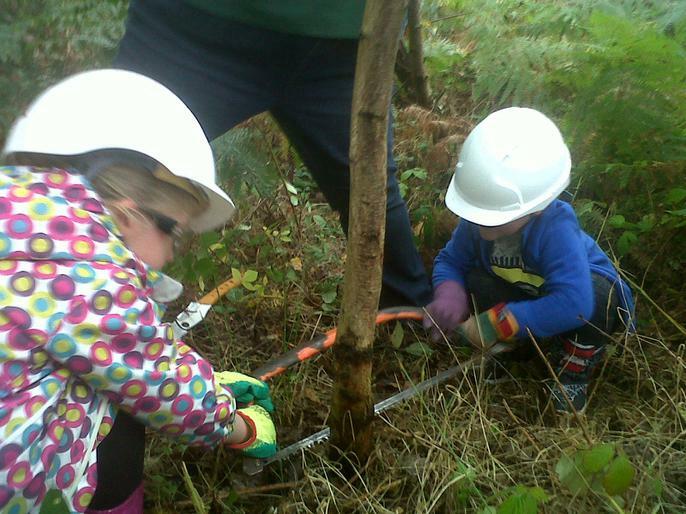 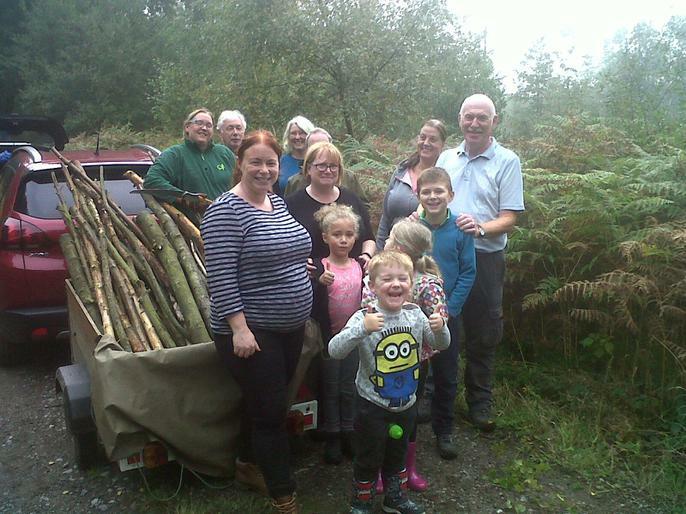 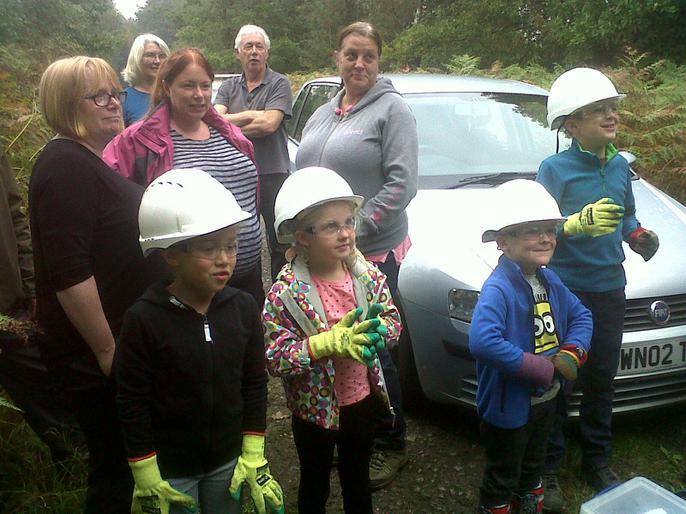 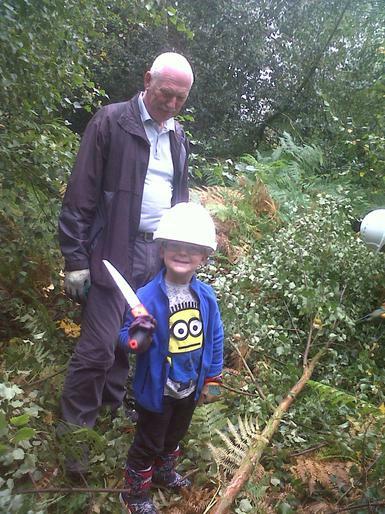 Pupils came with their parents and grandparents to take part in the free woodland skills workshop at a local forestry commission site. 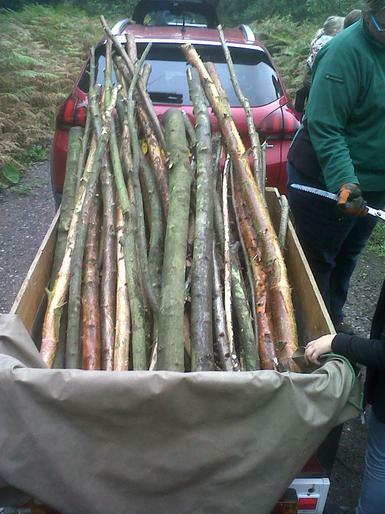 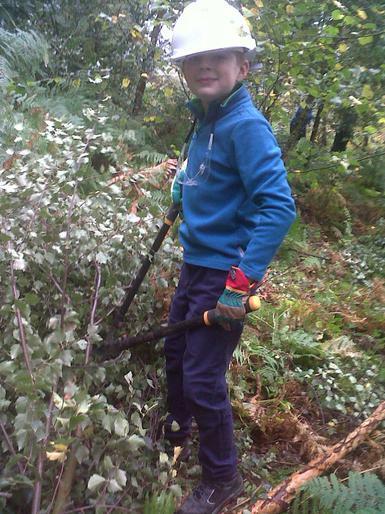 Despite the wet weather everyone learned how to safely cut down saplings that needed thinning out, using bow saws, pruning saws and loppers and then scavenged for logs and tree trunk sections to take back to school. 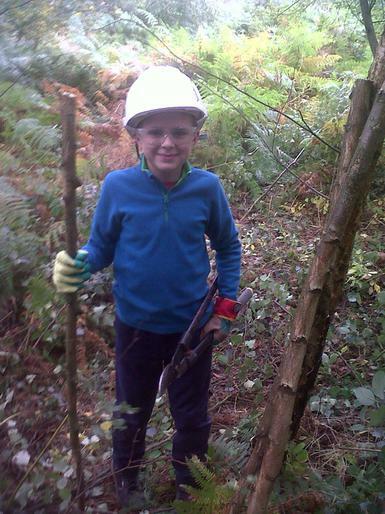 The tree trunk sections will be used to provide seating and stepping stones for the Nursery and Foundation children and the sapling sections will be used as den building materials. 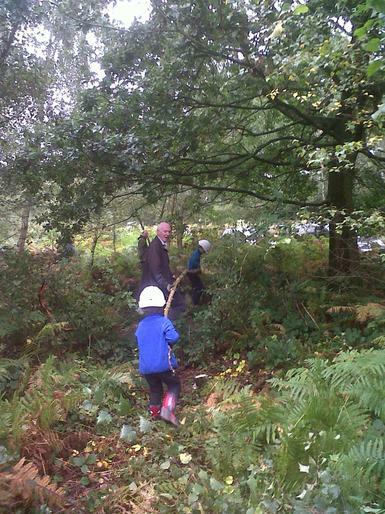 We are hoping to return to the forest to try a winter activity - what out for the next opportunity!